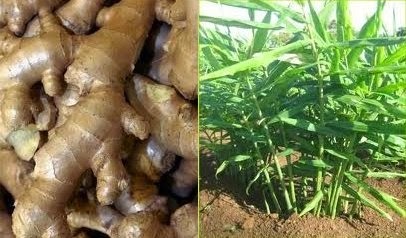 Ginger is a wild plant in fields that have a ground level rather wet (moist) and many obtain sunlight. Ginger is a tropical plant until the subtropical regions, suitable to be planted in the lower mainland to mainland high (1,500 meters), Thought to have come from China and India. Rheumatism / arthritis, impotence, poisoning Shrimp, pains, cough, back pain, headache, diarrhea, and vomiting. Materials used; Ginger rhizome of ginger tuber. A. Ingredients: 2-3 rhizome of ginger tuber of your thumb. Method: Boil 2 glasses of water to boiling until the remaining 1 glass. How to use: Take 2 times a day (every drink. 1 cup, morning and afternoon). B. Ingredients: 3-4 ginger tuber rhizome of of thumb, 1 whole baked lime, 1 teaspoon of eucalyptus oil. How to make: ginger Tuber grated , baked lime and squeezed (take the juice). Combine all ingredients. crumples it up. How to use: Apply on the chest of sick toddlers in the morning and evening after bath or bedtime. A. Ingredients: 2 rhizome of ginger tuber and milk of dairy cows to taste. How to make: ginger Tuber burnt clean and then boil together with dairy milk. How to use: Drink up. B. Ingredients: 2 ginger tuber rhizome of your thumb, 1 rhizome Kaempferia Galanga of your thumb, 1 bunch basil leaves, 1 handful of rice that has been soaked in water and a little salt. Method: All the ingredients finely ground (crushed). How to use: Applied as liniment. C. Ingredients: 3 ginger tuber rhizome of your thumb, flour to taste, and 1 piece of ripe tamarind. Method: grated ginger tuber. Add the flour and tamarind. Make a dough of flour and tamarind. How to use: Applied as a liniment. Ingredients: ginger rhizome 3 to 7 of your thumb and kerosene. How to make: ginger Tuber grated and added kerosene sufficiently. How to use: Applied on the itch body . 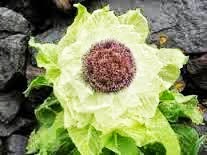 Ingredients: 2 ginger tuber rhizome of of your thumb, 1 whole lime, 1 chicken eggs, 1 teaspoon of powdered coffee, 1 tablespoons soy sauce, 1 tablespoon honey, and the tip of a teaspoon of ground pepper. How to make: ginger Tuber grated and squeezed with 1 glass cooking water, then filtered. Cut and squeezed lime. Take the juice. break Raw chicken egg get the yolk. Then mixed with all the other ingredients. Stir until evenly distributed. How to use: drink once a week do it regularly. Ingredients: rhizome of ginger tuber, nutmeg flowers and nutmeg to taste, cumin to taste, 1 glass coconut milk, 1 teaspoon of eucalyptus oil (cajuput oil). Mix the coconut milk and eucalyptus oil until evenly. How to use: Use as a liniment. among others, contain essential oils, resins, mineral, cineol. fellandren, camphor, Borneo, zingiberin, zingiberol, gingerol, zingeron, lipidas, aminos acids, niacin, vitamin A and protein.